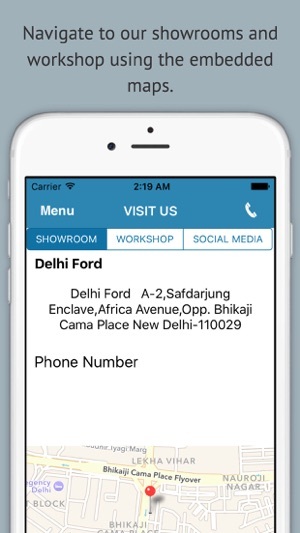 Welcome to the Delhi Ford Group Experience. 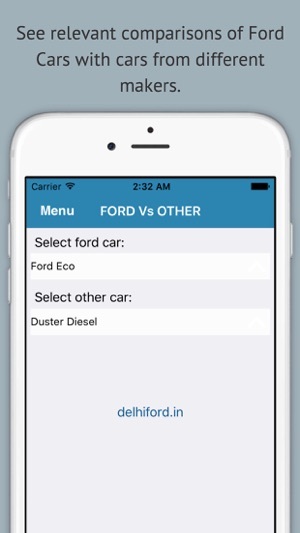 As the largest dealer of Ford Cars in Delhi-NCR, we at Delhi Ford & Gautam Budh Ford welcome you to our exclusive app and we hope that we can help make your process of Buying, Servicing or Selling your car a lot easier. 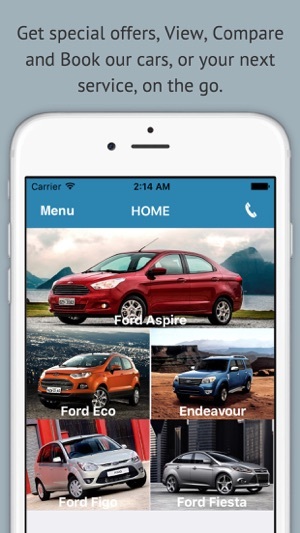 As your one stop for everything related to Ford, the app provides access to Ford's most exclusive offers and the ability to Book, Finance, Compare and Service your car at the click of a button! 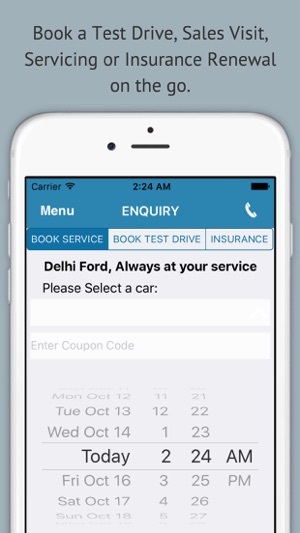 You can reach us directly through the app or email us at delhifordweb@gmail.com in case of any queries. We look forward to hearing from you soon! Gives great info and even shows on road price. 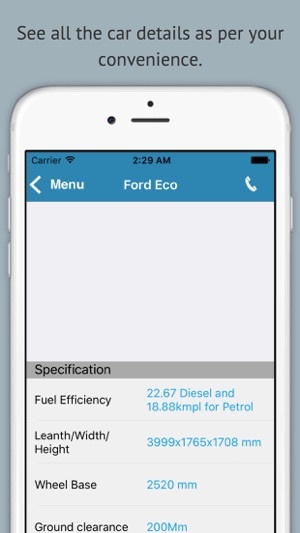 They show all features for each model and it is easy to add for comparison as well. Great app. © 2016-17 Timble Technologies Pvt. Ltd.